Architected for professionals, the Shuttle® R4 6100P breaks through the boundaries of your screen with rock-solid performance and the latest technologies like the Intel® H61 chipset, 2nd generation Intel® Core™ i3, Core™ i5 and Core™ i7 processors, NVIDIA® Quadro® professional graphics cards and now, up to 16GB of memory. 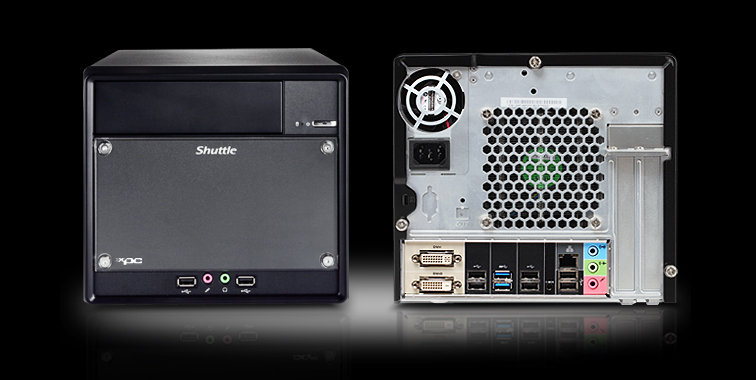 Engineered and built with unmatched power and reliability for the size, the Shuttle® R4 6100P features impressive, powerful next-generation Intel® HD graphics built-in. 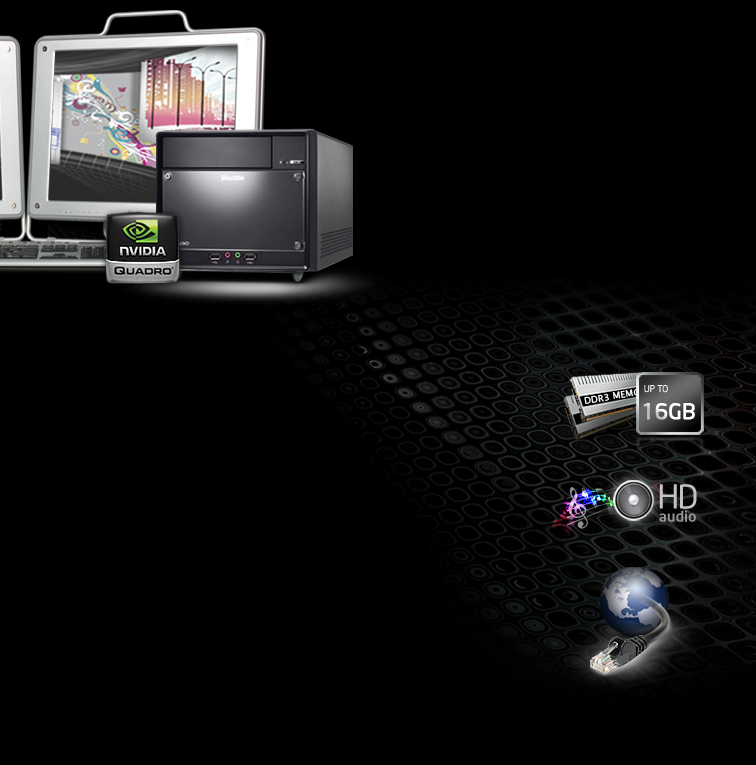 For even more power, accelerate your professional applications with the perfect upgrade. NVIDIA® Quadro®, the trusted solution for professionals and graphics card of choice for many Fortune 1000 companies, allows engineers and designers to push beyond the demands of today’s professional applications. With the latest Intel® HD Graphics 2000/3000 built-in, the R4 6100P is ready to deliver remarkable, realistic visuals right out of the box. 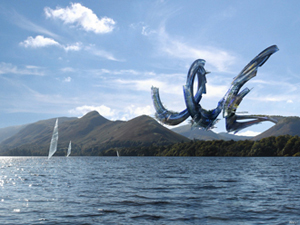 For the most remarkable, most realistic visuals, get the ultimate performance upgrade to NVIDIA® Quadro® professional graphics solutions which are engineered, built and tested to deliver industry-leading performance and capabilities with the highest standards of quality. R4 6100P, with up to 16GB* of memory is ready to tackle complex multi-tasking and deliver robust, leading-edge performance. *A 64-bit enabled processor and 64-bit operating system is required to fully utilize 4GB or more of memory. No matter what the application, R4 6100P is ready to deliver unbeatable sound through 5.1 channels of high-definition audio. Enhance your performance. With the industry’s fastest gigabit Ethernet built-in, R4 6100P is equipped to bring more performance and higher efficiency, with less network bottlenecks. *For 4GB or more of memory, a 64-bit enabled processor and 64-bit operating system is required.